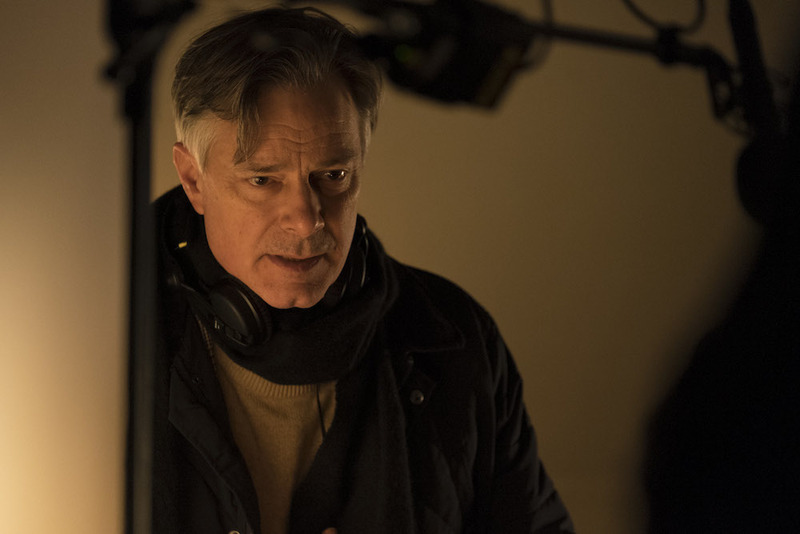 In the common cinematic trade of character and dialogue, writer/director Whit Stillman has always had a distinct voice, thanks in part to his Jane Austen influence. His comedies of manners, explorations of conflicting relationships set within microcosms of class, have been talking about Austen since his 1990 debut "Metropolitan," about a group of young, rich New Yorkers who get dressed up, attend galas and gab about culture. Like with his other films, these characters are sharply crafted, their dialogue with a wonderful dry wit; Stillman is both one of the funniest writer/directors out there, but also the most low-key. Never to be taken too seriously, his characters often dance at some point in their respective films, and their intellectualism is never as prominent as their naïveté. Stillman's success with "Metropolitan" earned him an Oscar nomination for Best Original Screenplay, and propelled him to an autonomous career including 1994's "Barcelona" and 1998's "The Last Days of Disco." (The three titles were part of a "Doomed Bourgeois in Love" trilogy, which has recently been re-released on Criterion Blu-ray.) After a a long hiatus over a decade, Stillman returned to filmmaking with the dark 2011 college comedy "Damsels in Distress," and later made a pilot for Amazon TV called "The Cosmopolitans." 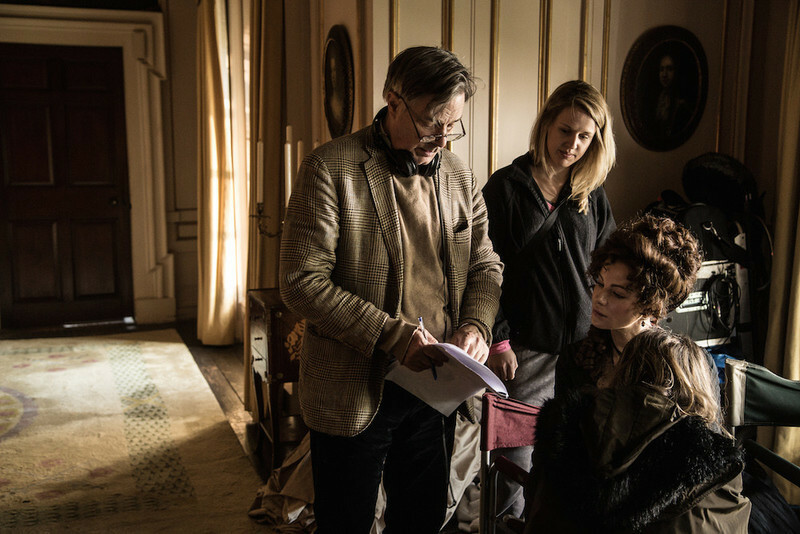 Like in how Todd Haynes returned to his Douglas Sirk influences for "Far from Heaven," Stillman crafts his latest film directly from his Austen roots with an adaptation of her novella "Lady Susan." Re-titled "Love & Friendship," the fast-paced period piece follows the crafty Lady Susan (a delightful, ruthless Kate Beckinsale) who seeks to manipulate all around her (with the help of her friend Alicia Johnson, played by Chloë Sevigny), including her daughter, her in-laws, and a goofy, wealthy suitor named Sir James Martin (Tom Bennett, in scene-stealing mode). When the film debuted at Sundance this past January, it confirmed that after 26 years Stillman continues to stand out with his authorship, even with his first adapted screenplay. RogerEbert.com sat down with Stillman in a hotel in downtown Chicago to discuss his new film, losing three million dollars to make a J.D. Salinger reference in "The Last Days of Disco," his current place in the entertainment world, and more. Thanks for chatting, Whit. Welcome to Chicago. I normally don’t like fancy hotels, but I have to admit this place is really nice. It’s comfortable and has good coffee. I normally prefer to stay at a Holiday Inn Express or Hampton Inn. But this place is really good, because it’s fancy without being annoying or fake elegant. When you’re in NY, do you stay at something like the Ritz-Carlton, or the Holiday Inn Express? I have stayed at the Hampton Inn in NY. There actually, the places that are a little cheaper in NY are down by the seaport and the financial district, which are actually much nicer neighborhoods. Those neighborhoods I like. I’m New York-challenged, so I’m not familiar. So, what was your personal motivation to tell this story, within this period? It’s great material, it’s a great chance to make a really funny Jane Austen film and to add to the Jane Austen film library. It’s particularly I think appealing. Her original novella is kind of hard to read because of the letter format. This way you get the comic material out and about quicker. And you have been talking about Jane Austen since your first film, "Metropolitan." (“Has it ever occurred to you that today from Jane Austen’s perspective would look even worse?"). Did this seem almost like an inevitable thing you’d do? Nothing in this business is inevitable. Everything is evitable. Everything is evitable in our business. What did Jack Lemmon say, the famous quote that actors use? “It’s not your lucky break, it’s your 50 lucky breaks”? I think this film is 50 lucky breaks. So even though you’ve been an Austen fan for so long, and talking about her, later down the line you were like, “I do want to make a Jane Austen movie, and I want to set it in this period.” Did you think about a different period? No, I like setting things in the periods they’re about. This is exactly the period she wrote it in, apparently. Was the period dialogue mostly from the original text? Almost all of the dialogue between the women is from the book. Almost all the dialogue from the men is stuff I had to write. Did that make it one of the more intense or more relaxed kind of writing processes for you? Well, the good thing about adapting good material is that you don’t have that horrible phase of either the blank page or the blank page filled with total nonsense that you need to throw out. So you start actually with good stuff, and then the problems come later. The problem is in how to use the good stuff so it works. Did you have to train yourself to write in Austen's dialogue? How did you do that? Yes. Adapting epistolary work means taking the letters back and forth like decks of cards and intercalating them—I’m not sure that’s a word in English—shuffling them so that some remark in this letter is replied to in a remark in this letter, and in this letter. And generally it’s not just two letters, you take several letters so there’s some advance in the story. But letters have to be filled with story material. Either has to be interaction that is advancing story, or actual story. When you’re writing this project, were you thinking about it more like a book, or visually? I always think about things visually. That’s where we have a real problem in the film business between the people who are creating these scripts and the people who are creating the films. I think a lot of the people working in film development in the film companies are not thinking sufficiently about what the visual environment of the stories is. So, like these commercial comedy scripts that I used to be sent—no longer—were just so many scenes of people talking in a room like this. It’s just not interesting. And no idea, no notion anywhere of what the visual is. And I don’t think that’s very attractive for many film directors, although they’re paying jobs so people do them. And I always … it’s funny because people tend to write about the dialogue in our films and all of that, but we really try to have something visual going on too. We’ve been lucky that all of these stories have had a striking visual side too. Although it’s not what people talk about. What were some important aesthetics to you when taking on this story? For example, did you have any distinct ideas of how you wanted to light your own take on the period? I really care about aesthetics, therefore I suffer in the world today. I can't speak to the lighting, I think [cinematographer] Richard Van Oosterhout had all of these interesting theories, I just wanted to have it look good and have it pretty. He's Dutch, sort of thinking all of the time. With the rise of digital filmmaking, which allows producers and financiers to be more directly involved in the creative process, did you feel more independent in the past working on a studio film like “Barcelona” (for Warner Brothers) as compared to “Love & Friendship”? I’ve never had bad supervision. It’s always been good on the features. I’ve never had the experience of people looking at rushes and causing problems. It’s funny because when Amazon started doing TV, there were all of these people who worked in TV traditionally gushing about the wonderful creative freedom they had working with Amazon TV. For me, working with Amazon TV was the first time I had super heavy supervision. It turned out to be well, I was surprised by it all and wasn’t that cool with it at the start, but then you get through the project together with the executives and I saw that we were all on the same side. They actually were helping me, and noticed when things were problematic before I noticed them. That was very helpful and I really enjoyed that, but it was hugely heavy supervision compared to anything I experienced with it on features. I think I learned something, that the reason [“Love & Friendship”] is so fast-paced is that they really put me through the ringer to make a pilot fast-paced. I do sort of regret cutting four lines maybe, they could have used more of a ballast, but it’s only 24 minutes of action. And this movie features one of your biggest clowns, Tom Bennett’s thoroughly goofy Sir James Martin. [“Damsels in Distress”] had a few. Yes, it’s something that’s come later in your career. I was wondering if you could speak to that. If you get a performer who can do that stuff well, you really are lucky. I don’t know why, I don’t know exactly why it’s being so much better received with this film than “Damsels in Distress.” I mean, I loved it in “Damsels in Distress,” I loved the silly guys, the fraternity, the DU. And in this film, it’s really been a hit. It’s sort of similar stuff, but English. Maybe that’s it. It’s the English. It’s the pinky finger. How did Kate Beckinsale fit into your idea of Lady Susan? Totally. Also I think the most remarkable one was at the Austen-derived “Cold Comfort Farm” that she was just sensational in. That was the performance I saw that I wanted her for “Last Days of Disco,” which I consider almost an Austen character too. It’s sort of Emma. Emma and Lady Susan are these dominant, kind of egotistical Jane Austen creations. Emma is ostensibly virtuous, and causes nothing but harm. And Lady Susan is ostensibly malicious, and causes nothing but good. So it’s quite odd. Do you see Lady Susan as a reflective or reactive to other stories or characters our there in the world? Well, I sort of like these dominant characters because Violet Wister, the Greta Gerwig character from “Damsels in Distress,” is another Emma. And I always, with that film all of that negativity about that I don’t understand because she was really I thought a very likable character, and very virtuous and helpful because coffee is good for being in low spirits. And what was it? “Suicide prevention is ten-tenths the cure”? The thing is, I had this script without the dance scene, but I told people there would be a dance scene. And I didn’t really write the dancing scene, I said this is a scene with people with Sir James Martin being too enthusiastic, and with people starting to look askance at it. And there are two sorts of Jane Austen dances that they have in Jane Austen films. They have the Sir Roger de Coverley, this sort of country dance, or they do the very fancy minuets. I thought the Sir Roger de Coverly was of our cup of tea. And so we had a very nice dancing instructor teaching us the Sir Roger de Coverley, and Sir James rose to the occasion. How did that compare to teaching “The Sambola!” in “Damsels in Distress”? Do you read a lot of the reviews of your films? I do. I just read everything. I feel that I’m also the producer, and it’s a little bit like questionnaires at a screening. It’s a question of communication. Like, “Are we communicating the film, are people seeing the same thing we intend them to see?” And rather than the sort of short, maybe incoherent responses you sort of get in a screening questionnaire with the general public, you get a long considered opinion by someone. Sometimes you feel that people are coming in with some attitude, and they’re not really getting through to … I think it must be very hard to watch films professionally, because I know that for instance I almost never like a film at the premiere. For some reason I cannot be honest or react normally to a film at a film event. So I think, I really admire the film critics who, I guess they see so many films they just react normally and naturally. But some people seem to do too much work in their criticism, so they actually are not responding like naturally or authentically to something. They’re going with their critical apparatus too keyed up. I noticed one guy who loved our films and then was very hard on “Damsels in Distress.” And what I realized is, that the films he saw of ours and loved he saw when he was a civilian. So as a kid, going to movies, he liked the first three films. And between “Last Days of Disco” and “Damsels in Distress,” he had become a pro and you can feel this pro, judgmental critic rather than Saturday night audience, who just wants to be entertained. Is that who you’re thinking of, when you’re sitting down to write “Love & Friendship”? Yeah. But one thing, I think we’ve not done one thing in the films to dumb it down. I try to just do exactly what I think would be good, and if something. And I try to make it clear as much as it should be. But I remember the big fight was in “The Last Days of Disco,” the record company who paid a lot of money, it was incredible how much money they paid, we actually made money on our use of music in “The Last Days of Disco” because the soundtrack payment was so huge, even though all that music it helped our budget. And they really wanted me to put in the tail credits this confection they did, this trashed-up, I mean not trashed-up, it was perfectly fine but not period, version of “I Love the Nightlife.” And it’s a perfectly fine song, it’s just I didn’t really like it and it wasn’t true to disco or soul ro anything I liked. And they wanted me to put that on the end credits. And instead I go from “Love Train” to Kate Beckinsale singing “Amazing Grace.” And they were furious. I think they withdrew marketing support, but I thought, “This is our film. Every frame, and everything about it that we could possibly control, we wanted it to be exactly what we want. We’re not changing it for marketing or anything else.” And so maybe that gets us in trouble. I remember the people behind “Last Days of Disco” allowed us to make it, they saw the scene where the characters debate J.D. Salinger stories. Dan takes the Dwight Macdonald and Mary McCarthy line against J.D. Salinger and Chloe defends J.D. Salinger. And they said, “That scene is going to knock three million off the gross.” They were flattering our film, maybe knock $20,000 off the gross, because we only grossed three million, so you can’t knock three million off. Maybe without that scene we would have grossed six million! "I had a successful disco film except I put in a J.D. Salinger debate scene.” I would have had a career all those years, but I stuck with J.D. Salinger! That’s where my career went wrong. Where do you feel is your current place in the entertainment scene? Do you honestly feel that way? No, but for 12 years it was honestly nowhere. I don’t know. What do you mean by that? You’re making movies in a time where we’re getting to primarily steaming, where if you want to watch “Barcelona” you’ve got to watch the dialogue, you’ve got to truly pay attention, where the overall viewing experience is becoming more distracted. But you seem to be more of an island, or an enigma compared to a lot of directors. You’re still writing and directing your own movies, and you’re talking like you have final cut on everything. I actually feel very grateful to the people who did mumblecore. Because I feel that indie cinema lost its way. It started getting paid a lot and had to have star casting, it was Miramax’d or Weinstein’d. And so there was this sort of boom, and then a bubble, and then a total bust in indie films. And it was sort of the same period that I was not able to make anything. And then reading about these mumblecore guys and seeing the stars coming out of it like Greta and those great Duplass brothers who are really terrific people, I love their sense of humor and I love this guy, Karpovsky? I saw one of the films he did, this little film about going around showing a film, and it was really, really cool. And a lot of these tiny comedies are really great, and I think kind of inspired me to go back to “Metropolitan” budget range for “Damsels in Distress” and that was a really great shoot with really great people. I have been really lucky having these two great shoots with “Damsels in Distress” and “Love & Friendship.” And I had a great shoot with “The Cosmopolitans,” so I’m pretty happy. I really like the people I work with at Amazon, and I really hope that show will go. When we talk wanting to contribute films to the Jane Austen film library, what are we talking about? Have you seen “Austenland”? I would not go near that. That’s not an Austen movie. There’s a magnificent Jane Austen movie that is “Sense & Sensibility,” that’s really great. And then also the adaptation, the Colin Firth, Jennifer Ealy “Pride & Prejudice” is really good. Those I think are the really good ones. I hope our films will join that crowd. You like the strict, of-the-period Jane Austen. I don’t like these things that are trying to exploit a phenomenon or are insincere about it. Unfortunately, when adaptation becomes a job in the film business, a lot of people who aren’t sympathetic to the material who aren’t worthy filmmakers, try to put their own spin on things. And sometimes it’s not really authentic to the material. I hope people won’t feel that about our film. I totally love Jane Austen and identify with her point of view. So even though we’ve had to add things that’s in the line that people like, so far all the Jane Austen people like it. There was some weirdness about our changing the title before they see the film, but I think once they see the film, they’re happy. This is actually my hat. It’s a very interesting hat. I hear you can do "The Sambola!" in the hat.